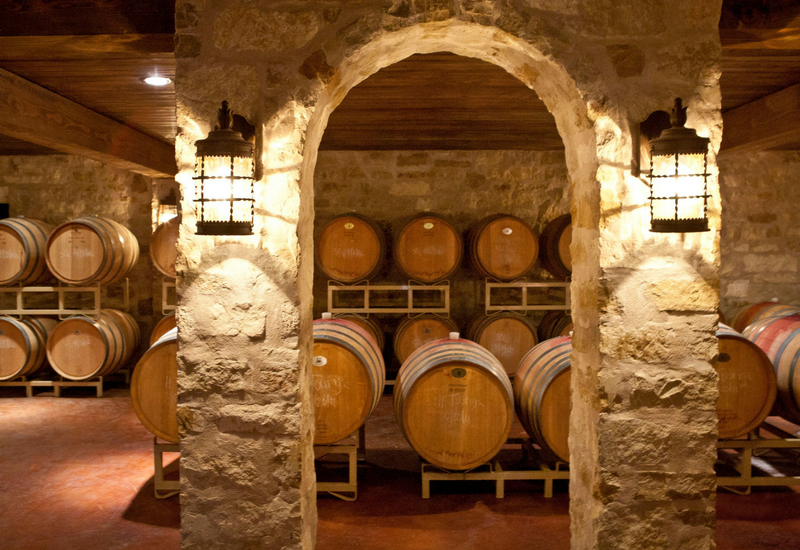 CENTRAL TEXAS, January 11, 2016 – For the first time since its inception in March 2014, Texas Fine Wine is adding a new winery to its roster: Spicewood Vineyards in Spicewood, Texas.Texas Fine Wine is a group of five distinctive wineries dedicated to making quality wines from Texas appellation vineyards, providing exceptional winery experiences to guests, and setting the highest standards in the Texas wine industry. Spicewood Vineyards joins Bending Branch Winery, Brennan Vineyards, Duchman Family Winery and Pedernales Cellars in this privately funded marketing initiative designed to bring national and statewide attention to high-quality wines being produced in Texas. “Spicewood Vineyards represents the caliber of Texas winery that delivers an all-around great experience for wine enthusiasts – from its award-winning estate Tempranillo and Sauvignon Blanc to its welcoming tasting room and signature events held throughout the year,” says Fredrik Osterberg, co-owner of Pedernales Cellars. The Spicewood 2012 Estate Tempranillo won gold medals at the 2015 Houston Livestock Show and Rodeo, 2015 Concours De Lyon International Wine Competition in Lyon, France, and the 2014 TEXSOM International Wine Awards, and the 2014 Estate Sauvignon Blanc won gold at the 2015 San Francisco International Wine Competition. Spicewood Vineyards is owned by Ron Yates, who bought the winery in 2007 and has continued the wine legacy started by Ed and Madeleine Manigold who founded the winery in 1992 to produce primarily estate wines. The original 17 acres has doubled in size to almost 32 estate acres, and the winery also has a 10-acre vineyard located west of Spicewood in Round Mountain. Texas native Todd Crowell is Spicewood Vineyard’s winemaker, joining in 2012 after graduating from Texas A&M University and spending 12 years at Christopher Creek Winery, White Oak Vineyards & Winery and Stonestreet Wines in Sonoma County. Yates is expanding his winery business with a new winery and tasting room along Highway 290 that will be called Yates, scheduled to open by this summer. Texas Fine Wine promotes its award-winning wines, events, winemakers and growers at major wine education conferences such as TEXSOM, wine and food festivals, sommelier meetings and tastings, media events, restaurant dinners, and its signature Texas Fine Wine events. Texas Fine Wine invites wine enthusiasts to follow Texas Fine Wine on Facebook, Twitter and Instagram. Use hashtags #txfinewine and #txwine.